Geez louise! Eddy has always got to be doing something! He is an electrician and very handy all around. He can build anything, including an entire house. There's a problem with this...he's a perfectionist. **REMINDER** if you'd like to participate in the links or the giveaway, you'll need to click HERE because this is just a repost blog. NO JOKE! If you were to knock a hole in one of our walls, the wires all are nice and neat, clipped together with zip ties. It's gorgeous! Here's the issue...there's always a project going on in our house. We moved into our house about six years ago when all four of my boys were in sports and high school. I was driving six different car pools. When I was driving car pool to lacrosse at the high school, I noticed there was a house that went up for sale a street over. There's amazing lakes and fishing along with about an acre of land! Granted, the house wasn't my dream home, but duh! I've got Eddy! This got me out of car pool, but not out of having all these boys come to my house for an after school snack since it was so close. Here's what I know about that....I provided a lot of snacks. So these sport kids would come to the house before practice, eat, and poop! What is it with boys and pooping????? Anyways...that's not where I was going with this, but that's hand to God truth. The first thing we did was put in a salt water pool because I'm a pisces and I need an outdoor office. 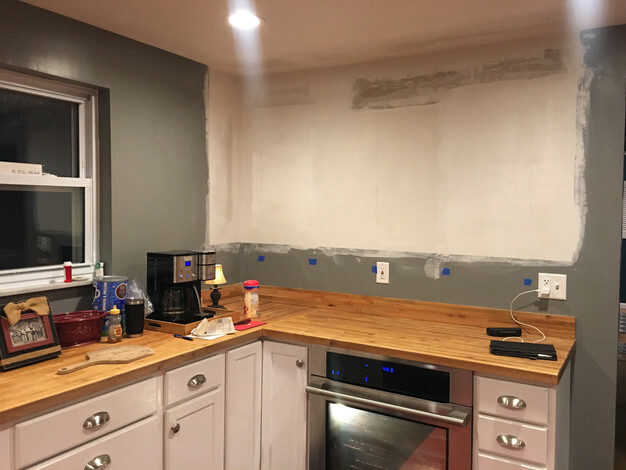 Second we gutted the kitchen. 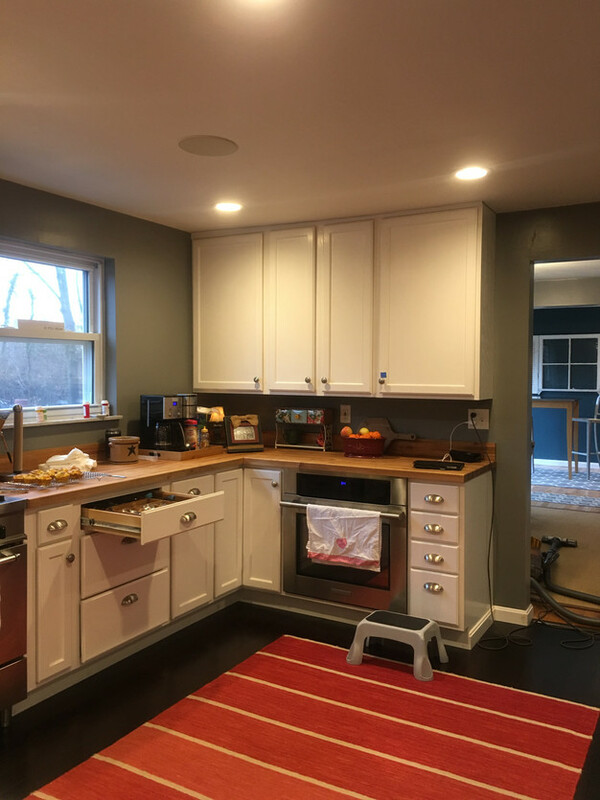 At the time people thought our idea of using butcher block and stainless steel was a little off beat, but look at us now! Don't look at us now. I guess I'm getting my open shelving. Featured Reader of the Week! "To next your books are like an escape from the boring ,hub,drum scenario of my life. 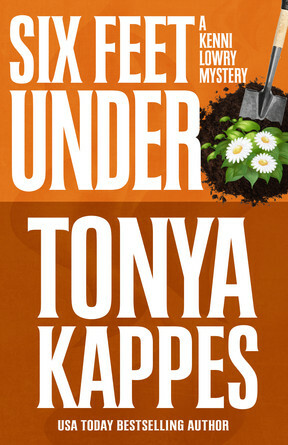 I know it's not going to be dull and in the end I enjoyed the characters and the events that made the story come true. I choose to read your work for the obvious you are a fantastic writer,whom I throughly enjoy. I love your style, your personality is warm and sincere. I imagine that each character has something of yourself in each. 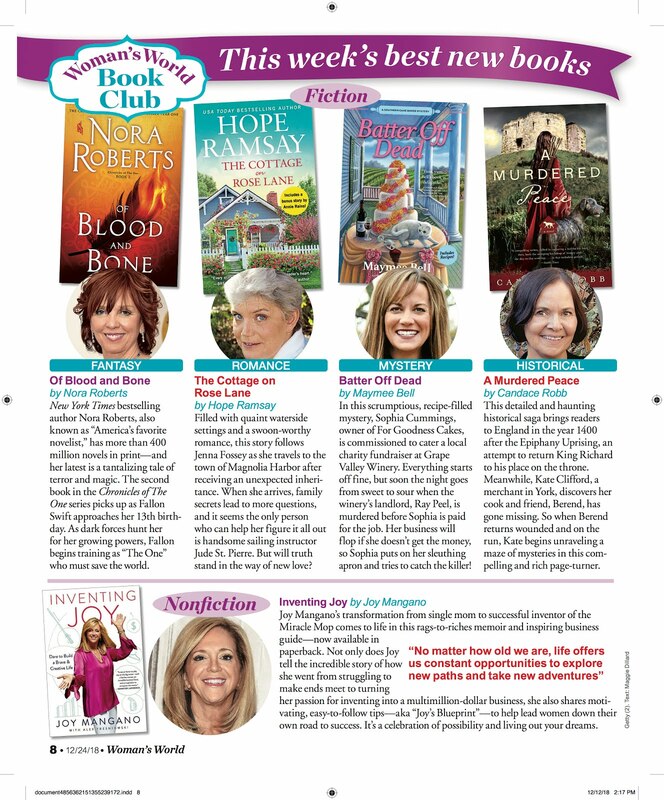 There are only 4 Cozy writers I feel I could write forever about, you so happen to be one. Thank you for your open heart and gift to express." 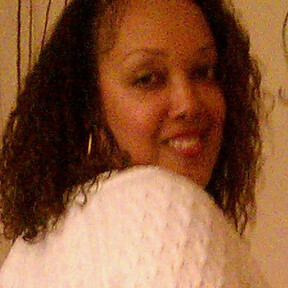 Thank you, Yolanda!! I'm so honored to have you along my journey. Look at these adorable little eggs!! They are the yummiest and easy to make. There is raspberry filling in this one, but you can use any filling or jam or even frosting. But they are sure to please. 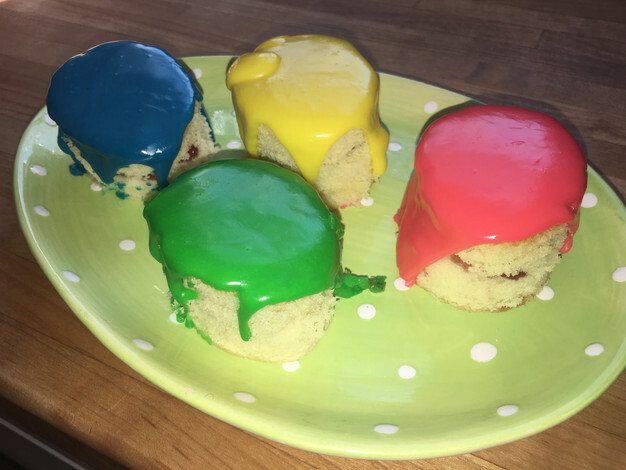 My boys love them and I think they are so fun to make during Easter season. I hope you try them too. Anyways... CLICK HERE or here to get the Easter egg Petit Fours. 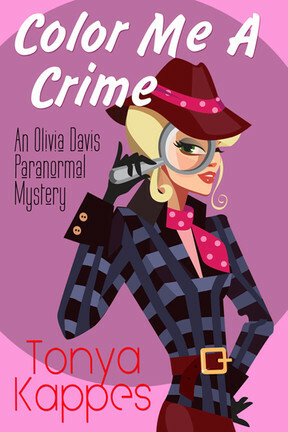 Author Friends of Tonya book sales! 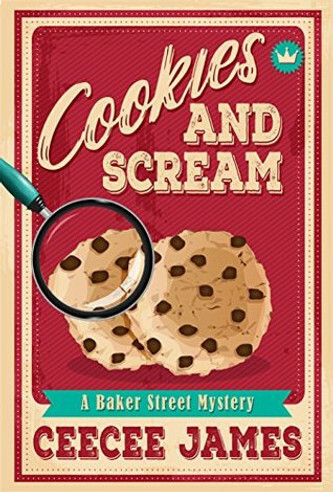 CeeCee James latest release is still on sale! Grab while it's on sale for .99!! 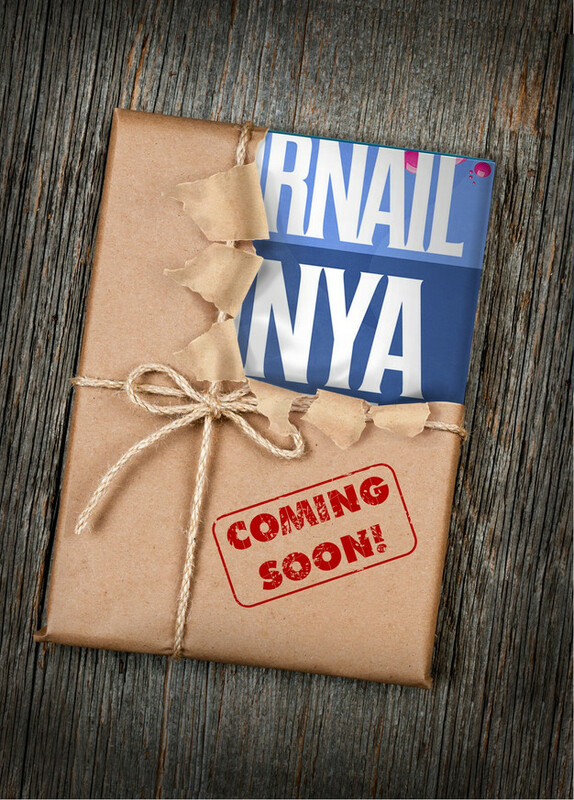 I'm so pumped that the cover for DEAD AS A DOORNAIL is revealed and there's currently a blog tour with prizes! The preorder is live too!! 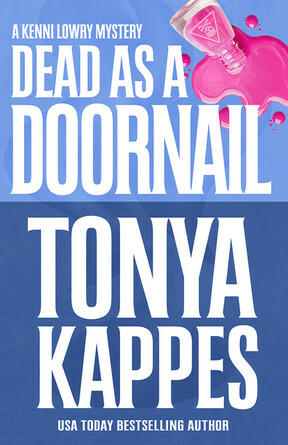 Dead As a Doornail is the 5th book in the Kenni Lowry Mystery Series and will be releasing in May. I swear this just might be my most favorite cover so far...and the storyline...KILLIN" ME!!! 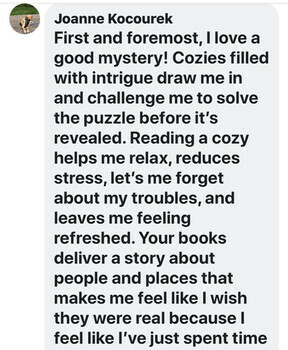 Don't forget to come on over and join our private Cozy Krew Page on Facebook and remember to enter Friend Friday (every Friday on my Facebook author page) where a cozy mystery author friend gives away a book! Do y'all have something you'd like to have remodeled? 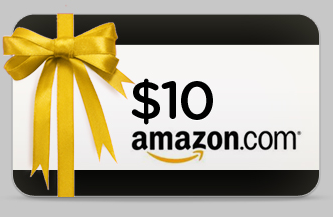 Comment (and leave your email in the comment so I can just send it) to enter to win this week's Amazon Gift Card! I'll pick a winner on Thursday. 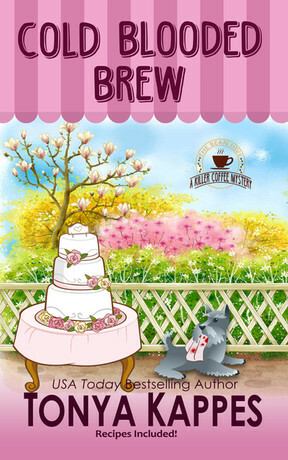 Have a wonderful time sippin' your coffee! It's Valentine's week!!! Seriously...why am I so excited??? Because this year Eddy and I will be traveling to watch NKU (Jack) Norse play Wright State. It's only about an hour north of Cincinnati in Dayton, but we are going to go up early and have a nice little dinner and then go watch the boy do his thing! That alone just warms my heart. Now...can you guess what this is?? It's a big old bad delicious deep friend MOON PIE!!!!!! My oh my! They sale these at the NKU Norse Basketball games....bad Tonya. BUT I had to try one. One is banana and one is chocolate. It's smack YOUR mama's mouth good. No joke. I didn't eat a whole one, I just gave them both pretty big bites....maybe two...really big bites. I just love this photos on so many levels! 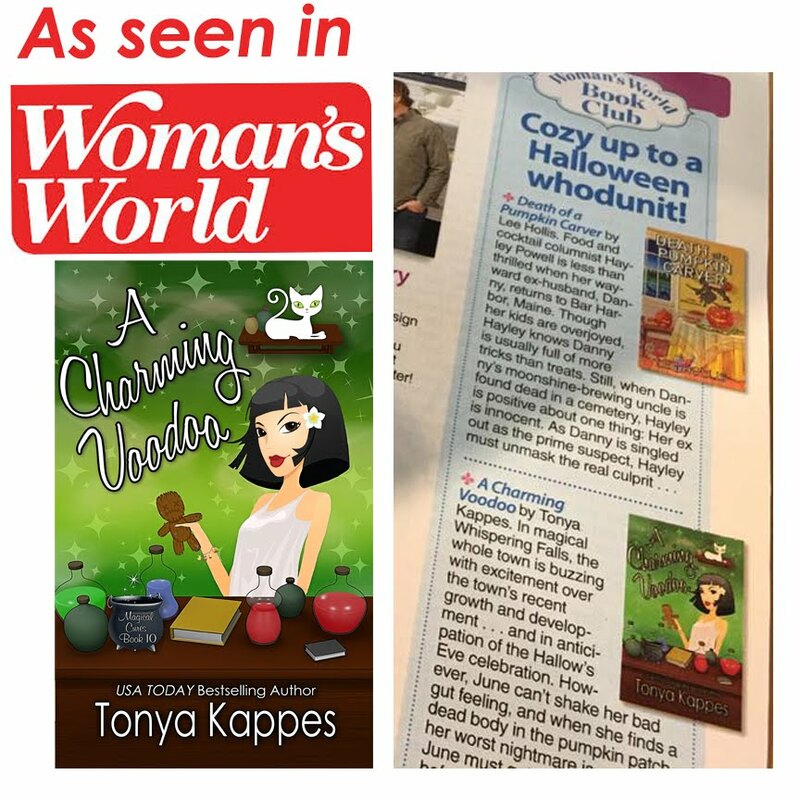 Joanne Kocourek has been a loyal reader for years and I just adore her! Look at her puppy!!!! OMG...without her being a reader, that puppy is enough! Y'all! 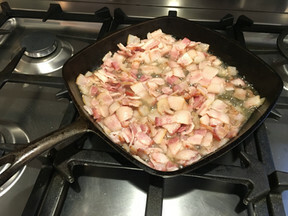 What on earth did I do with all the bacon in my skillet???? You don't want to miss out on this recipe! 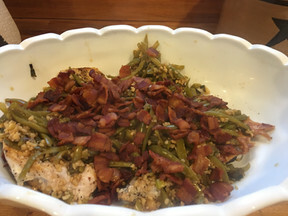 It's my chicken and green beans one skillet meal that is so good!!! 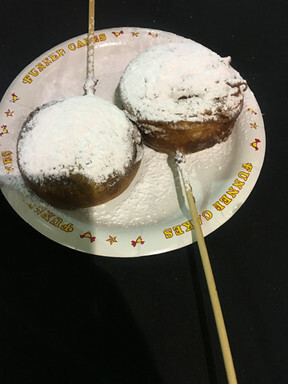 Before y'all go and email me that bacon grease is bad for my health and that you saw ^^ up there ^^ that I ate fried Moon Pies....I'm healthy. I promise. AND this one skillet meal is actually pretty healthy and only 7 Smart Points if you're on Weight Watcher, which I'm a lifetime member at goal for 8 years. I go to a meeting every week because I have too! Man oh man....If it's not enough for Facebook to keep changing up their algorithms, now Amazon is doing something that saddens me. They are deleting VERIFIED purchase reviews and unverified purchase reviews. This means ARC copies you receive from your favorite authors or even the review teams you're on. Now....this has happened to only ONE person I know if, but ramblings of others. 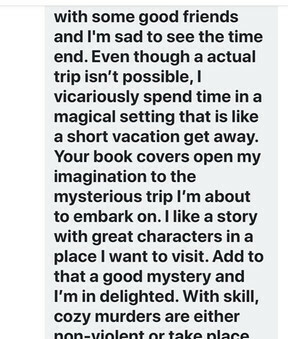 This is so disheartening because reviews are so important to me and to my author friends. So...here's a GREAT solution! Did you know that you can leave your review on Bookbub? What? You don't belong to the free Bookbub site? You should! While you're there, follow my author page >>>> CLICK HERE TO GO THERE! 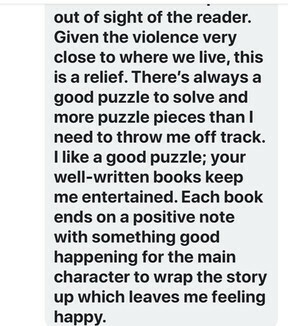 How do you post a review on Bookbub? Head on over to one of my books and on the right side of the page you'll see a box that has a few buttons that say Buy, Bookmark, or Review. Hit review and there you go! That easy. Go Read is an up and coming review site and it's fun to get in on the front end! 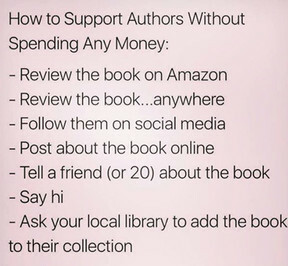 Still post your reviews on Amazon and Goodreads (Goodreads is owned by Amazon), but it's always great to have some options. 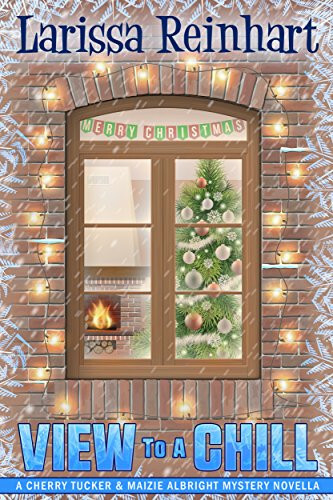 I know this cover says Christmas, but you won't be disappointed!!! 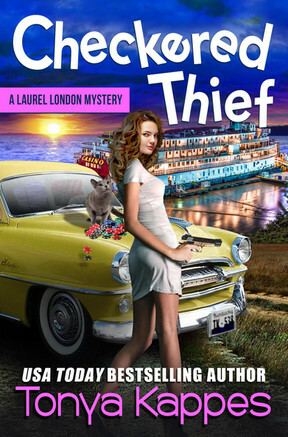 Be sure to grab this one from my friend Larissa Reinhart while it's on sale for .99!! I'm so pumped that next MONDAY February 19th along with several bloggers...the cover for DEAD AS A DOORNAIL and preorder will be live! 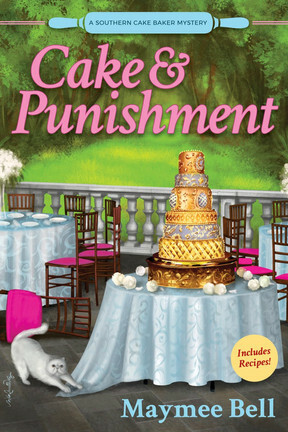 CLICK HERE FOR THE LINKS TO THE BLOGGERS AND A PRIZE!!! Do y'all read series as they come out or wait for a few to release, then binge read? To enter to giveaway, you need to click here because this isn't the original post.